A Rare Double Bitted Axe, 4 in. 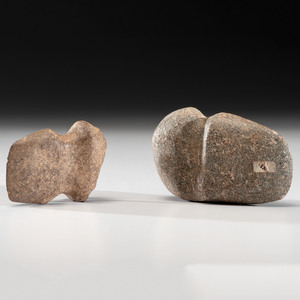 A 3/4 Grooved Axe AND A Full Grooved Axe, Longest 4-1/2 in. 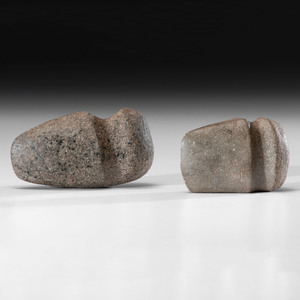 Two 3/4 Grooved Axes, Longest 4-1/2 in. 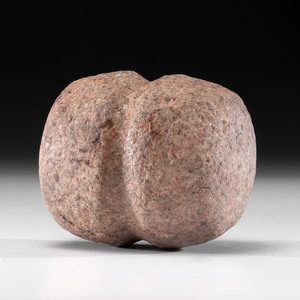 A Pink Granite Hammerstone, 6-3/8 in. 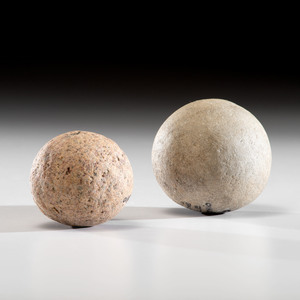 Two Large Game Balls From An Old Collection, Largest 4 in. 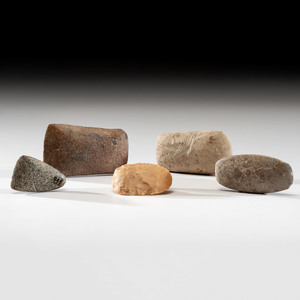 Five Adzes, Longest 3-3/4 in. 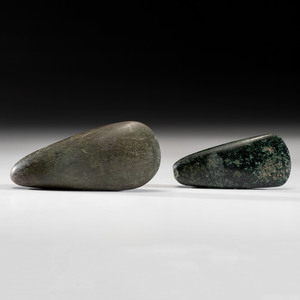 Two Small Woodland Celts, Longest 2-3/4 in. 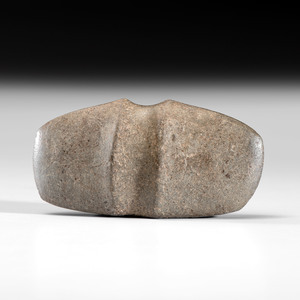 A Massive Green Granite Celt, 12 in. 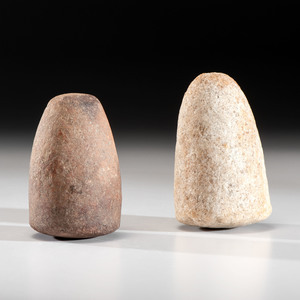 Two Polished New Guinea Celts, Longest 6-3/4 in. 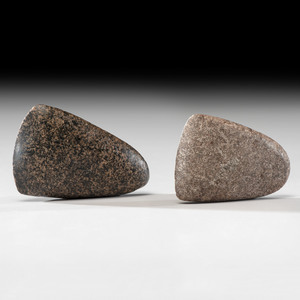 Two Woodland Celts, Longest 5-1/4 in. 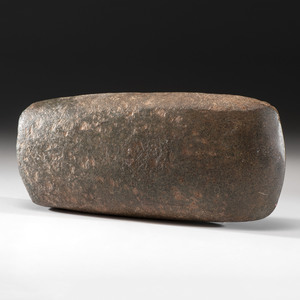 A Large Roller Pestle, 13-1/2 in. 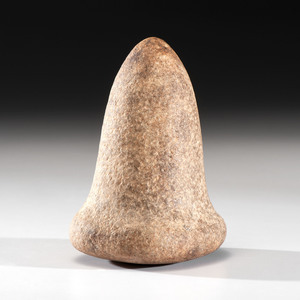 A Northwest Coast Pestle, 6-3/4 in. 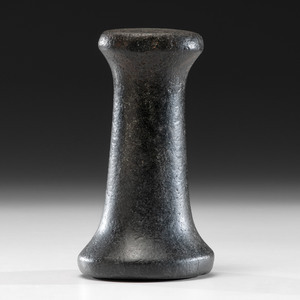 A Granite Pestle, 7-1/2 in. 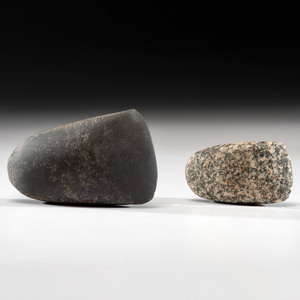 A Quartz Pestle AND A Granite Pestle, Longest 4 in. 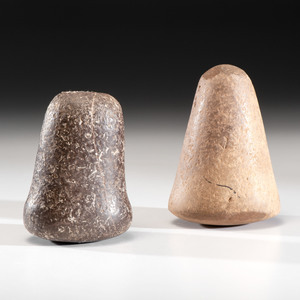 Two Pestles, Longest 4-1/2 in. 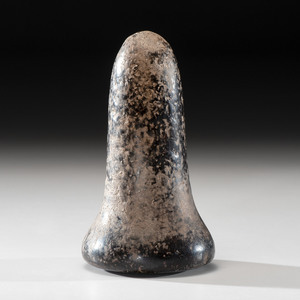 A Bell Pestle, 5 in. 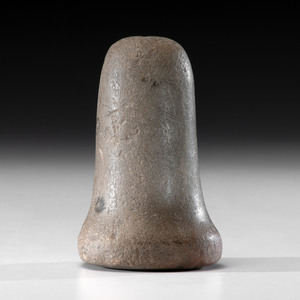 A Bell Pestle From Lone Hill, 5-3/4 in. 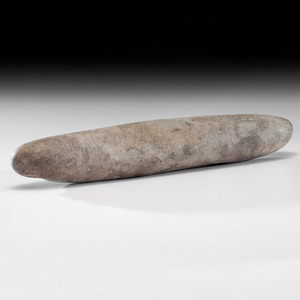 A Granite Pestle, 4-3/4 in. 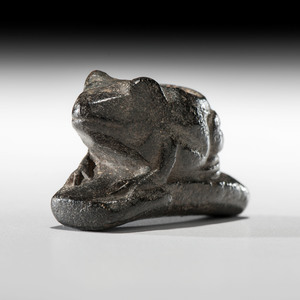 A Hopewell Frog Effigy Monitor Pipe, 1-3/4 in. 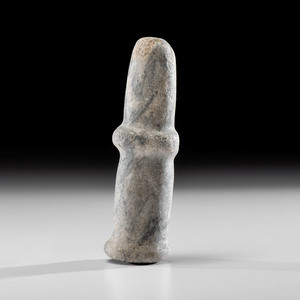 A Sandstone Phallic Effigy Tube Pipe, 7-1/4 in. 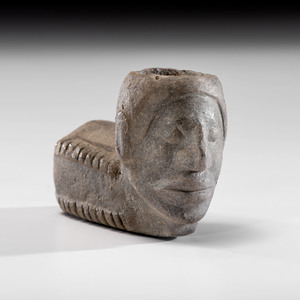 A Sandstone Human Effigy Pipe Bowl, 3-3/4 in. 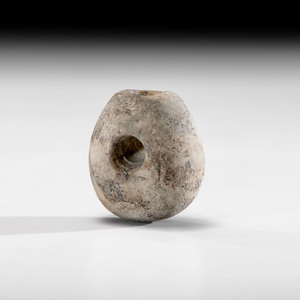 A Partially Drilled Sandstone Tube Pipe, 5-1/2 in. 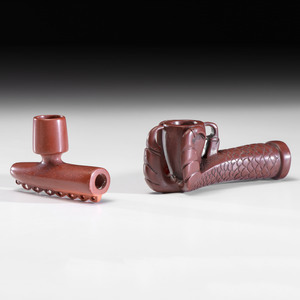 A Ceramic Elbow Pipe, 4 in. 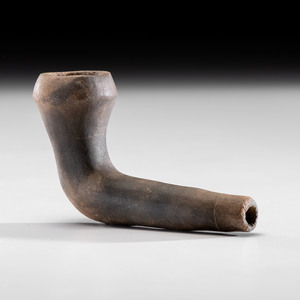 A Fort Ancient Pipe Bowl, 2 in. 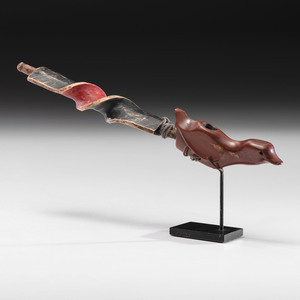 Two Contemporary Catlinite Pipes, Longest 5 in. 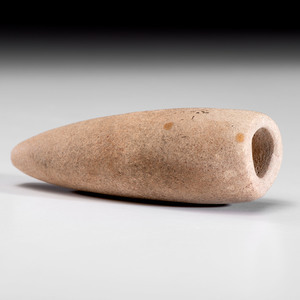 A Historic Catlinite Bird Pipe, 10-1/2 in. 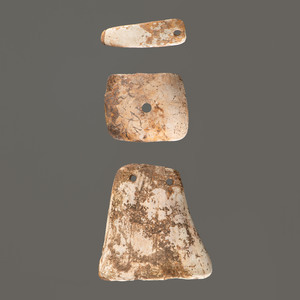 A Drilled Shell Gorget AND Two Shell Pendants, Longest 3-1/4 in. 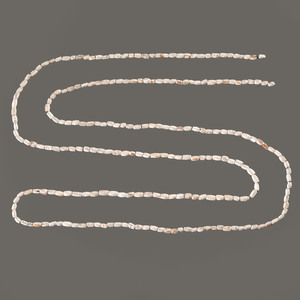 A Long Strand of Shell Beads, 60 in.